Cars and James Bond seem to go together like strawberries and cream. Since the beginning of the James Bond film franchise, 007 has been fortunate enough to drive some of the most desirable cars on the planet. In the first of a new series of blogs, we look at the cars that featured in the James Bond films starting with the 1960's, when the British secret agent appeared in the cinemas for the first time and changed movie history forever. By 1961, the Ian Fleming James Bond books were hugely popular and it was only a matter of time before the spy stories hit the big screen. Producers Cubby Broccoli and Harry Saltzman finally managed to convince United Artists to fund the making of the first movie and the rest is history. Little known Scottish actor, Sean Connery, was cast as James Bond, which proved to be a masterstroke. Connery remains many fans' favourite Bond, presenting a tough and handsome 007. The first movie, Dr No, was filmed on location in Jamaica with only internal scenes being filmed at the Pinewood Studios near London. 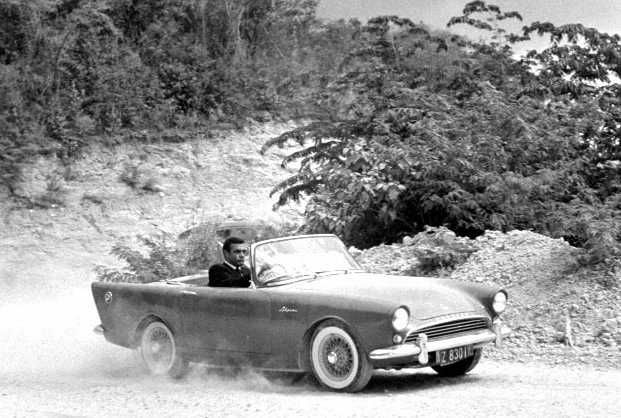 Due to the location, it was not practical to feature James Bond's preferred Bentley and, instead, the Sunbeam Alpine sports car became the first car to feature in a Bond movie. The Sunbeam Alpine was a two-seater sports drophead coupe produced by the British car manufacturer, Rootes Group. The sports car was produced between 1953 and 1955 and then relaunched in 1959 until 1968. The Sunbeam Alpine that features in the movie was actually hired by the production company from a local woman who was paid fifteen shillings per day. Although some scenes were shot on location, many of the close-up shots of Bond driving the Sunbeam were shot in the studio. The Sunbeam Alpine features British Jaeger gauges designed and manufactured by SMITHS Instruments. The gauges include a Speedometer, Tachometer, Water Gauge, Fuel & Oil Gauge, Clock, Voltmeter and Ammeter. This marked the beginning of a long standing relationship between SMITHS and 007. James Bond's second feature film, From Russia With Love, featured a Bentley for the one and only time. In the Ian Fleming novels, Bond's car of choice is the Bentley, but the producers wanted to feature a wider selection of sports cars. In the movie, James Bond does not actually drive the 1935 Bentley 3.5 litre car, and it is seen parked alongside a river as Bond entertains a lady. One memorable scene shows Bond, still played by Sean Connery, answering a telephone in the car, which would have been quite remarkable in 1963. SMITHS designed and manufactured gauges for many of the early Bentley cars. The dashboard featured seven gauges in all, with five mounted centrally and the speedometer positioned directly behind the steering wheel. In the opinion of many film critics, the movie Goldfinger marked the point when James Bond became a true global phenomenon. The film also saw the introduction of a gadget-laden Aston Martin DB5, which became widely recognised as 'The Most Famous Car in the World'. The movie was full of action and glamour, epitomised by the appearance of the Aston Martin. During the planning stages, special-effects expert John Stears approached Aston Martin for a car to use in the movie. However, there was one catch. The film company could not afford to purchase one. In what has turned out to be one of the best marketing decisions of all time, Aston Martin agreed to lend a car on the basis that it was returned after filming so that they could use it for their own promotional purposes. The rest is history. Two cars were used in the making of the film. Stears turned one of the DB5's into one of the most deadly cars ever to grace the road, with concealed guns, rear smoke screens and an array of other hi-tech gadgets. The second remained untouched until after the completion of the movie, when it too was fitted with all the same gadgetry. In August 2018, Aston Martin announced that they were recreating James Bond's "iconic" car from Goldfinger, producing 25 models each priced at £2.75 million plus taxes. SMITHS gauges had featured in Aston Martin cars since the DB1 in 1948. The Aston Martin DB5 featured 8 gauges designed and manufactured by SMITHS including a speedometer, tachometer, fuel gauge, ammeter, water temperature gauge, oil temperature gauge, oil pressure gauge and a clock. The movie also features another striking British classic car, a 1937 Rolls-Royce Phantom III Sedanca De Ville. 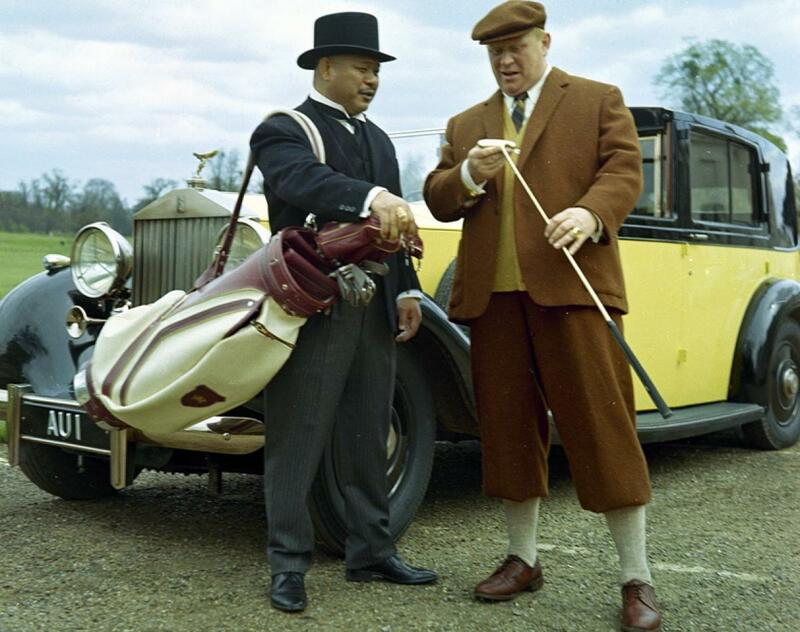 The yellow and black Rolls is villain Goldfinger's car of choice. The Rolls Royce was originally custom-built for the Rt Hon. Lord Fairhaven of Anglesey Abbey, Cambridgeshire. The V12 Phantom II was introduced in 1936 with 727 being produced before the model was succeeded by the Phantom IV in 1939. The dashboard oozed elegance and featured five centrally located SMITHS gauges. The popularity of the DB5 in Goldfinger had surprised the movie producers. In response, the DB5 made fleeting appearances in the next Bond movie, Thunderball, although the weaponry was reduced to a water canon. Starring alongside the Aston Martin DB5 was a gold BSA Lightning Motorcycle. The gold-painted motorcycle, ridden by SPECTRE assassin Fiona Volpe (played by Italian actress Luciana Paluzzi), destroys the car of fellow SPECTRE agent Count Lippe with rockets fired from the missile launchers on the front of the bike. In fact, during filming, stunt man Bob Simmons, who was driving the car and detonating the explosion, was almost killed in the spectacular demolition of the car. 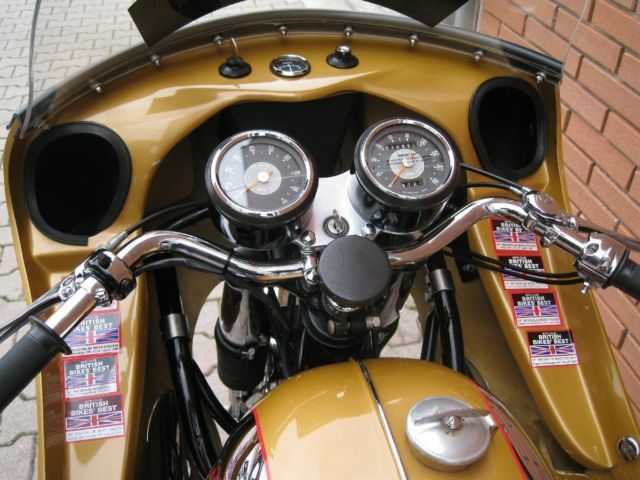 SMITHS designed and manufactured three gauges for the BSA Lightning: Speedometer, Tachometer and Fuel Gauge. The speedometer and tachometer were mounted just above the handlebars with the fuel gauge inserted into the extended bodywork housing the main front light and visor. The film You Only Live Twice is unique among Bond films because is remains the only one to date in which 007 does not drive. A Japanese secret service officer rescues James Bond whilst driving a specially modified Toyota 2000 GT sports car. Two cars were specifically built for the film, of which one is on display at the Toyota museum in Japan. In 1969, the role of James Bond was played by Australian actor George Lazenby. Many Bond fans believe that the James Bond in the movie is a more accurate reflection of the character in Ian Fleming's books. On Her Majesty's Secret Service closely follows the book's story line and, despite a lacklustre response in the USA, is regarded as one of the best James Bond movie thrillers. An Aston Martin also reappears in the form of the DBS. Launched in 1967 as a replacement for the DB6, the DBS had an American look. The design concept was to create more interior space and make the car a true four-seater. There was also a change in the overall appearance, with a desire for a more modern look reflecting the style of the late swinging sixties. 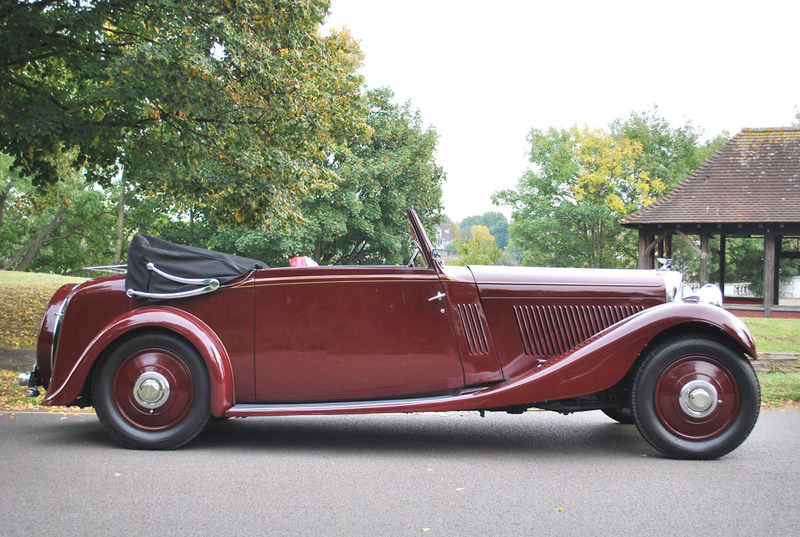 However, trademark features such as the bonnet scoop, knock-off wire wheels and side air vents were retained. As with most classic Aston Martin cars, all the gauges were designed and manufactured by SMITHS Instruments. The styling was selected to match the times and the tachometer had a black face, white lettering and a distinctive red flash to warn the driver when he was over-revving the engine. In all there were seven gauges: speedometer, tachometer, oil pressure gauge, oil temperature gauge, water temperature gauge, fuel gauge, and ammeter. In the movie, James Bond marries for the only time and drives away from the ceremony in the Aston Martin DBS. However, as he stops to remove wedding flowers from the car, agents from the criminal organisation SPECTRE drive pass and pepper the car with bullets, killing Bond's new wife. It is a tragic and moving scene. However, it is the Ford Cougar that is given the most onscreen time. The car is driven by Bond's future wife, Tracey Di Vicenzo (played by Diana Rigg) and features a spectacular car race on ice. The James Bond movies of the 1960's started a legacy that continues today. In most of the movies, James Bond's car plays a vital role as 007 saves the world. SMITHS instrumentation features in many of those cars and so we are proud to have been a part of that history.